Consumer-owned local electricity distributor Network Tasman has announced $3.5 million of discounts will be credited onto its consumers’ December power bills. The company’s 39,100 consumers will receive a discount that is based upon the amount of power used, but an average residential consumer using 6,900kWh per annum can expect a discount of $57 on their December power bill. To be eligible a consumer must have had an active, metered connection to Network Tasman’s electricity distribution system as at midnight 18 November 2016. The network covers the Nelson-Tasman region, excluding the central Nelson area. 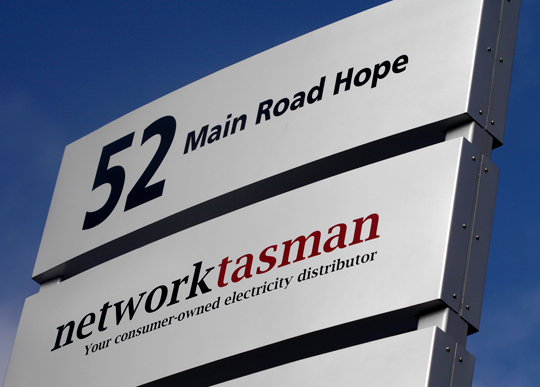 The Network Tasman Trust, which owns Network Tasman Ltd on behalf of consumers, receives a dividend each year from Network Tasman and makes an annual distribution of accumulated funds in the form of a cheque to Network Tasman consumers in December. The cheque paid by the Trust is separate from the discount provided by Network Tasman.